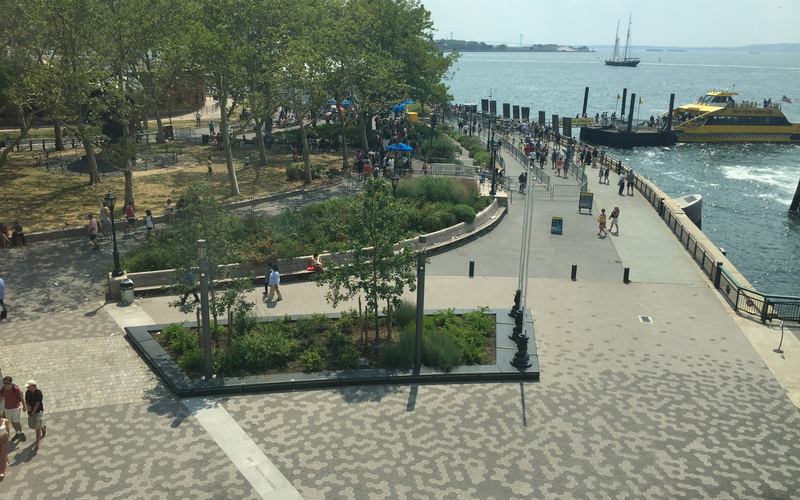 SiteWorks implemented the design of the new 37,000 square foot urban plaza and promenade for the renovated Pier A building, the oldest surviving pier in New York City. 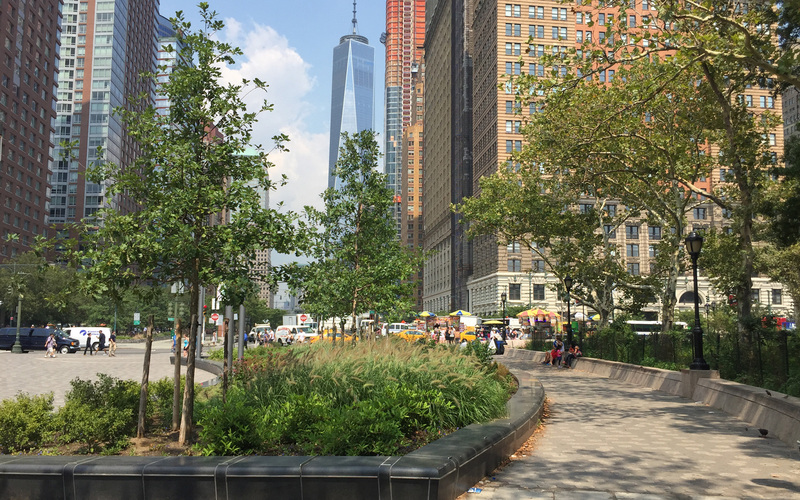 The plaza is situated along the Hudson River between Wagner Park and historic Battery Park. The historic registered 3-story building, mostly supported by the pier, includes a headhouse spanning the pier to land. The newly renovated building is surrounded by the new public promenade and plaza. 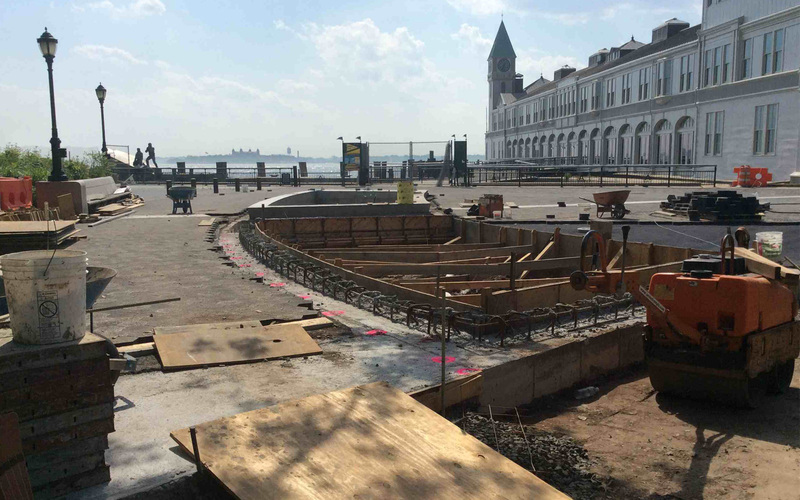 The design for the plaza respected the historic integrity of the Pier Building but also incorporated resiliency design strategies into the project to address chronic flooding and anticipated sea level rise. 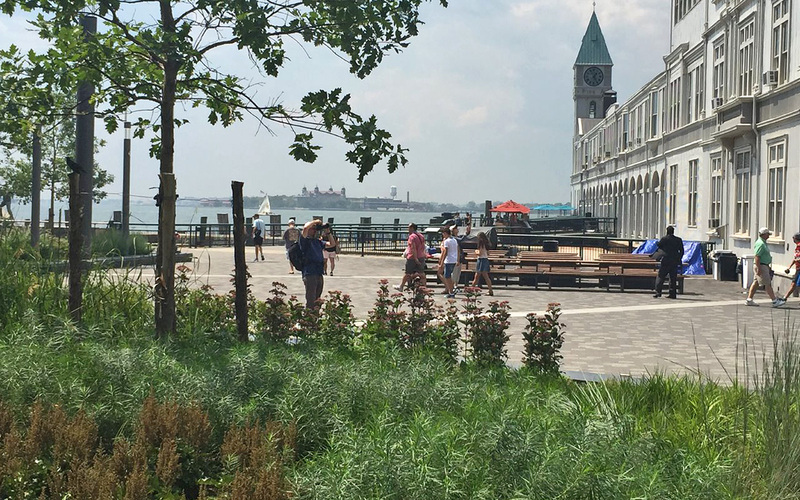 The plaza plantings were carefully selected to be salt tolerant plantings and sand-based manufactured soil for rapid drainage after flooding was used. 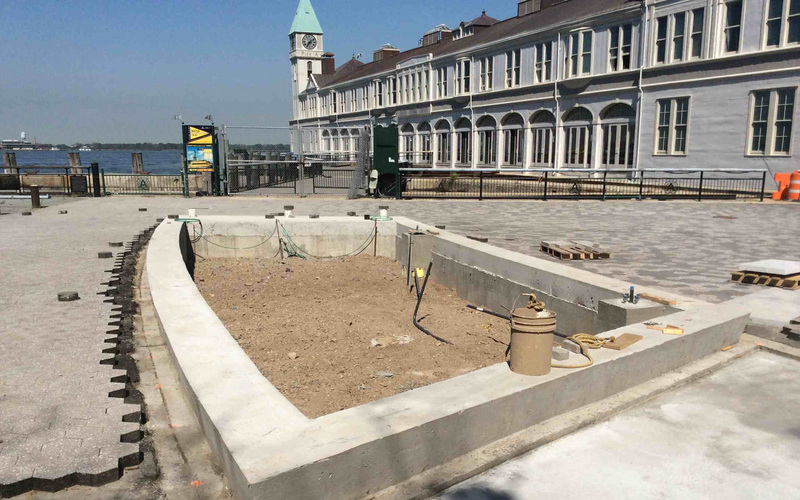 In addition, electrical outlets and planters were elevated to minimize saline flood water intrusion from the nearby Hudson River. The historic outline of the shoreline is depicted with granite pavers with related text. Based on SiteWorks’ construction management expertise, we served as the lead consultant for the site construction, representing the team at weekly project meetings and coordinating all submittals, RFIs, and punch list items.